Let us say that your company decides that it is time they invade the online space like never before. Do you dive in like that? Will you start the process of creating a website, a social media account, or any other channels, without first thinking everything through? If you do not have a goal, then you should not even think about it. 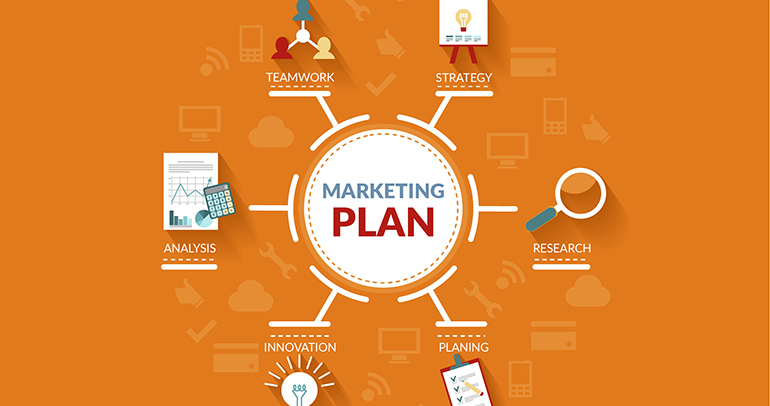 Online, or rather digital, marketing is a process that requires planning. You and your management need to sit down and plot your way forward. That is what a Digital Marketing plan is. It should include a detailed report of some of the methods that you will use, your goals, products that you are offering, including other things. With that in mind, what makes a digital plan useful? You have to consider many factors when coming up with a valid approach, and our article offers some tips that you can use when creating the best strategy available. It should be the first thing, every time. Most of the companies will start their online journey without branding themselves. By communicating your brand, you have to mention some of the solutions that you are bringing in, you have to describe it effectively (which is a factor ignored by many individuals), and you have to highlight the goals that you intend to reach within a specified period. Come up with attractive mission statements. Additionally, understand the reason you are getting into the online space. Is it to increase sales or pure awareness? Many companies give up as soon as they find out that the strategy is not as effective as they thought it would be. Therefore, to prevent obvious frustrations, you have to be flexible Write down the plan, yes, but it is okay to change a part of it or a whole of it if you cannot see any changes. Learn from your organization's past mistakes and use them to bring in new ideas; alternatively, it could save you some money. Besides that, keep an eye on your competitors. Remember, your main reason for coming online is to bring in some uniqueness or something new. The biggest challenge is to find clients. You desire to have repeat clients, and engagement to prove that you are trustworthy, especially to new clients. What should you do to get clients? First, you have to come up with good products, and two, you have to research. Know who they are. You could also create a buyer persona. Try to get so much detail as possible because that is what matters. You should also have a clear objective on how you are going to reach to them. By doing that, you will also have to know what channels they are using. When you have all the strategies in place, it is proper that you have to keep watching the impacts of the approach you are using. The online platform provides various tools that you can use for this purpose. For instance, if your main channel is social media, then you can use the various analytics to see engagements and the likes you get on every post. For those using SEO, you can use Google analytics to get user activity. A frequent analysis will give you a reason to keep using the same strategy or enough reason to change the less powerful methods. Some of the methods you use to reach people need money, and some do not. Therefore, you have to put a budget when laying out your plan.